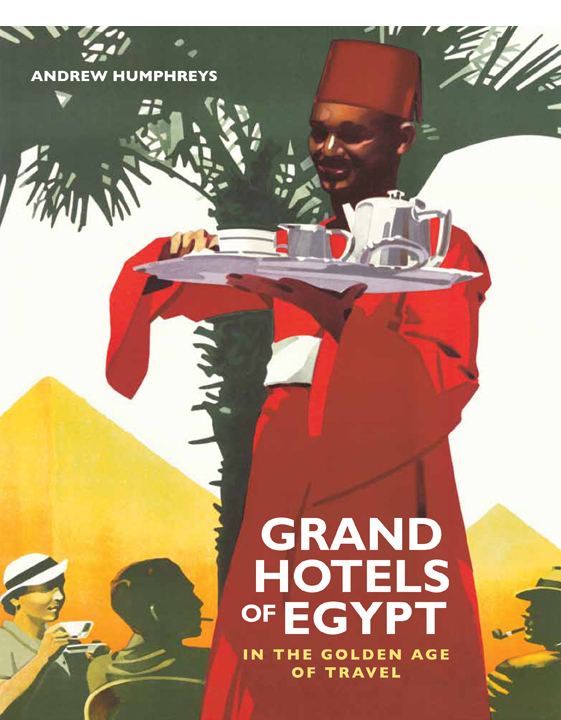 I was at a press launch today. 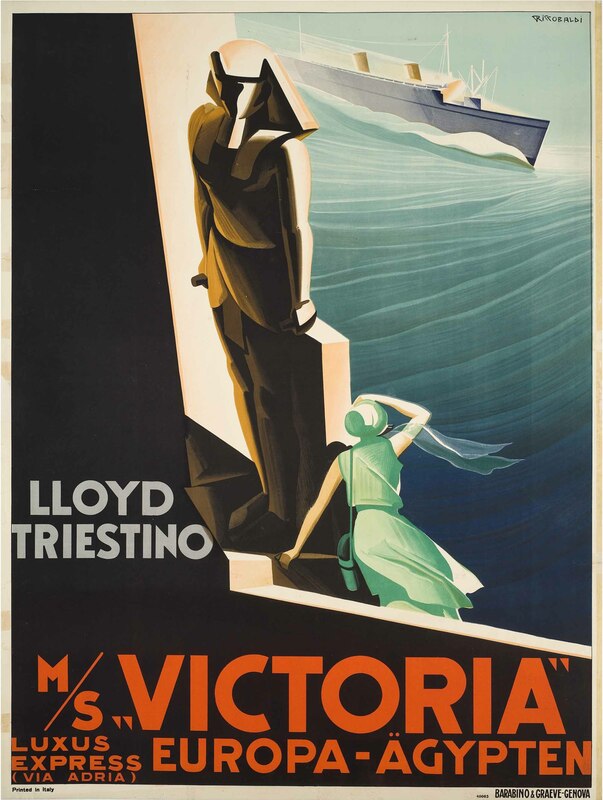 It was for a forthcoming exhibition, ‘Ocean Liners: Speed & Style’, which will be held at London’s V&A museum from 3 February 2018. 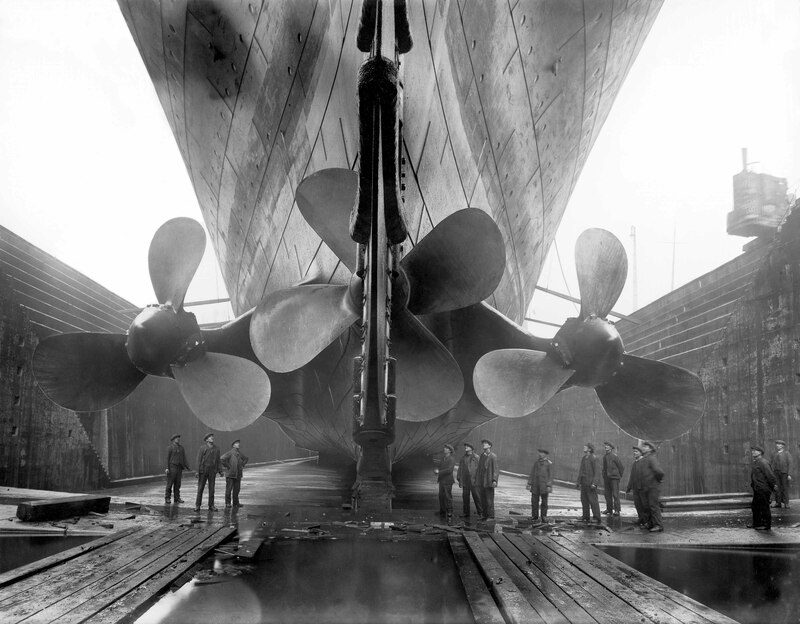 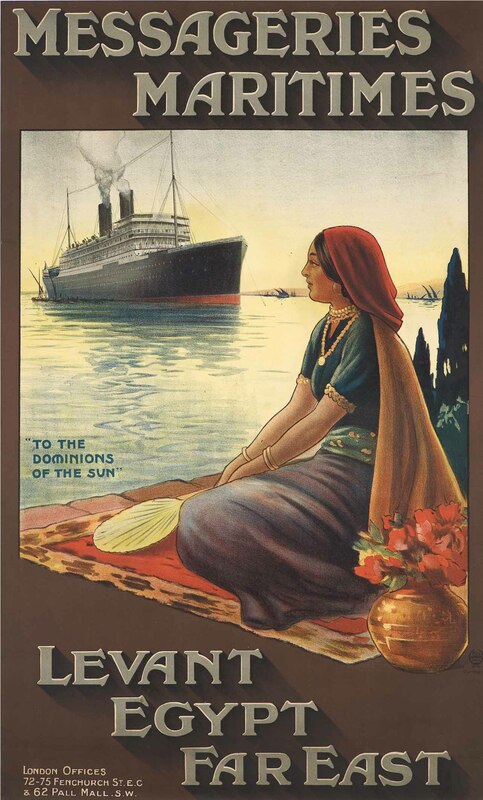 It is going to be all about the glory days of ocean travel, exploring the design and cultural impact of the ocean liner, including the ground-breaking engineering, architecture and interiors, and the fashion and lifestyle aboard. 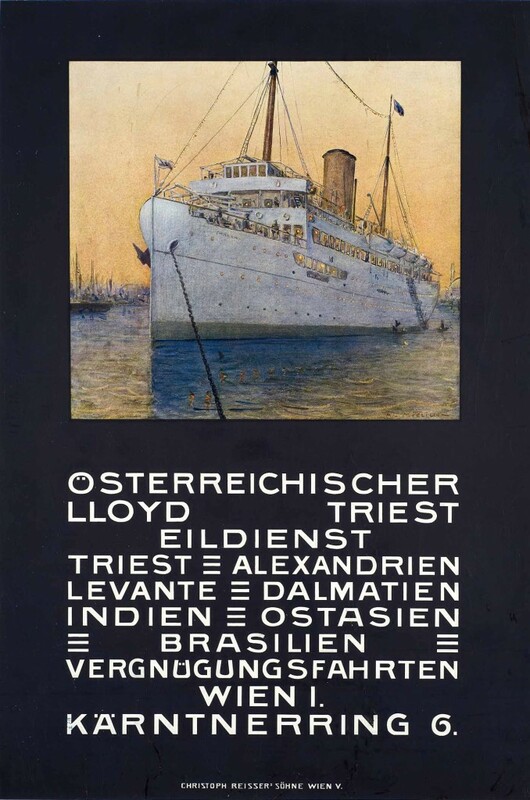 Highlights, we were told, will include a precious Cartier tiara recovered from the sinking Lusitania in 1915, as well as a panel fragment from the Titanic’s first-class lounge where the ship broke in half, returning to the UK for the first time since its doomed maiden voyage in 1912. 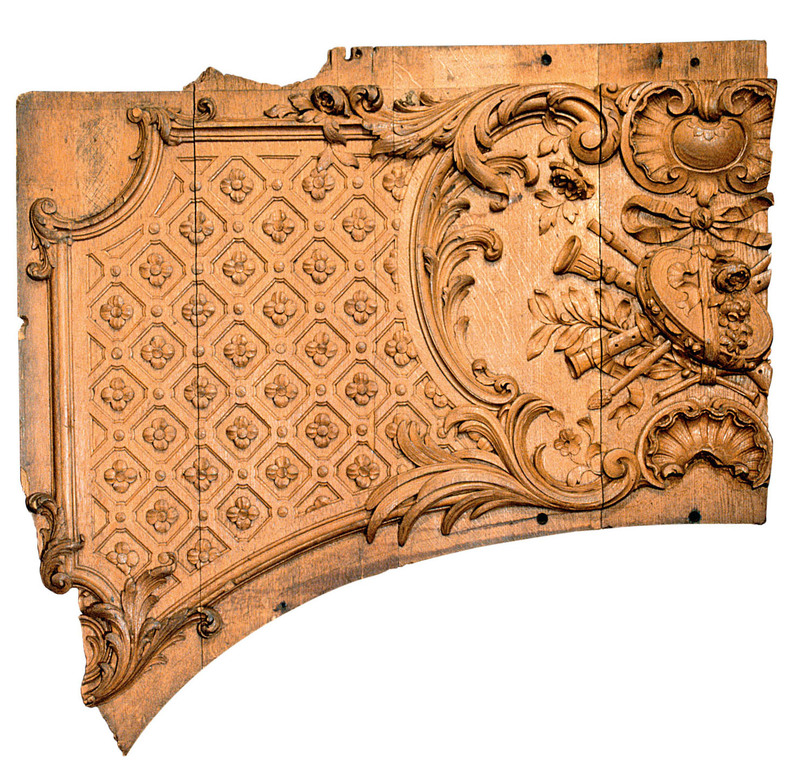 There will be custom-made furniture and decorative panels from the rival inter-war queens of the sea, the Normandie and Queen Mary. 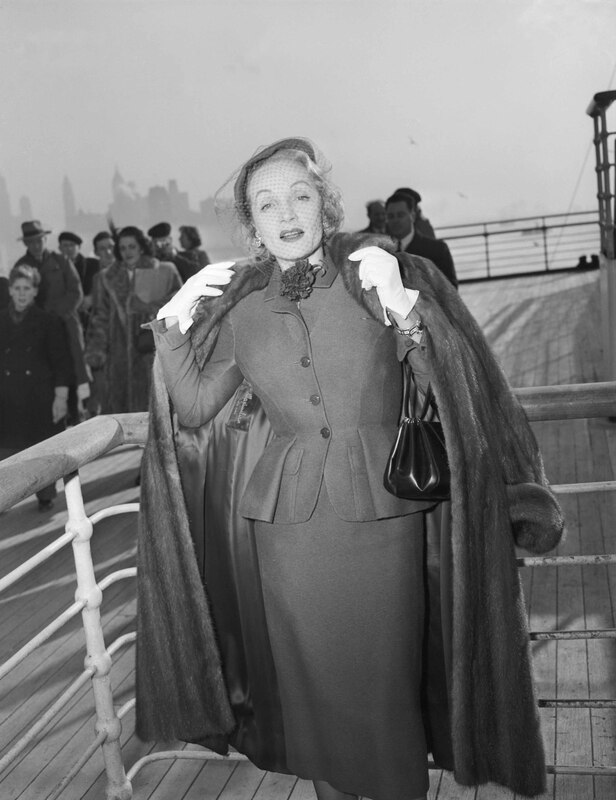 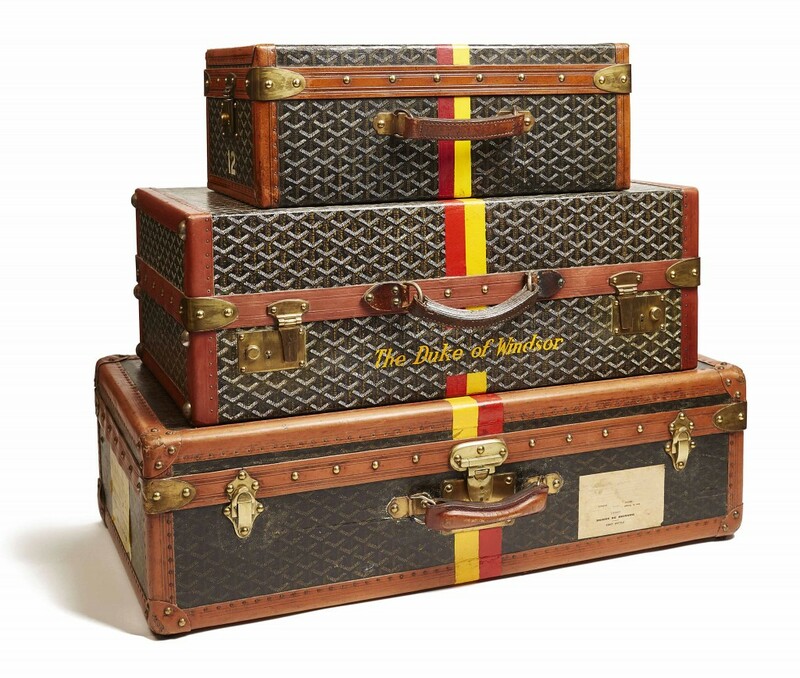 The exhibition will also throw the spotlight on some the famous passengers that travelled aboard, and will have personal luggage carried by the Duke and Duchess of Windsor, and dresses worn aboard by Marlene Dietrich and Elizabeth Taylor. 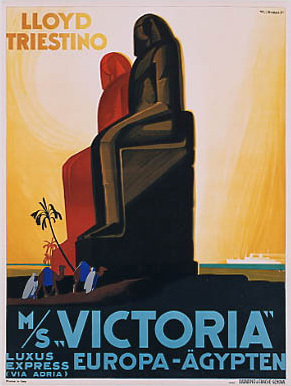 I don’t know that there will be anything in the show specifically relating to Egypt, but many great ocean liners frequently called at Alexandria and/or Port Said on their way between Europe and the ports of Asia. 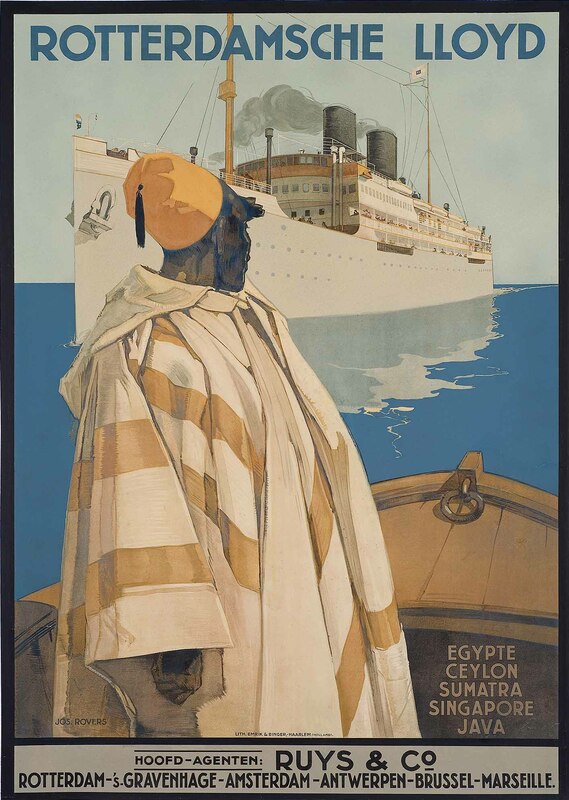 And, of course, visitors to Egypt from the United States first had to cross the Atlantic to Europe, and many would have done so on ships belonging to major lines such as Cunard and White Star. 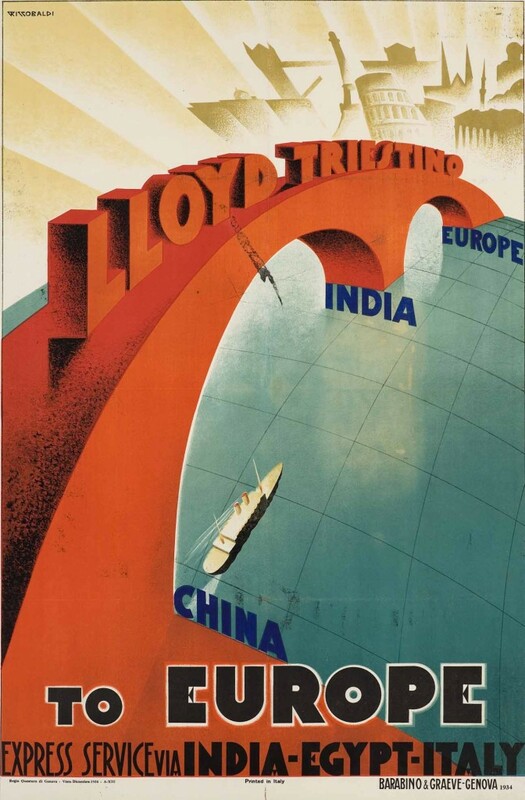 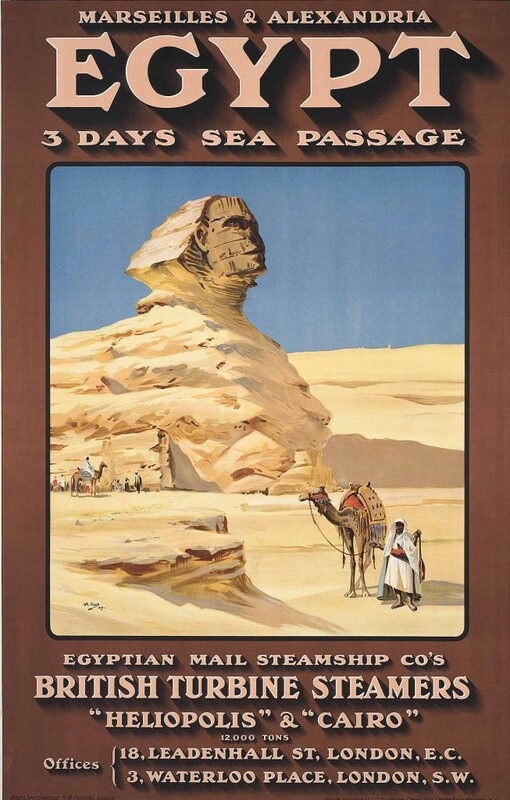 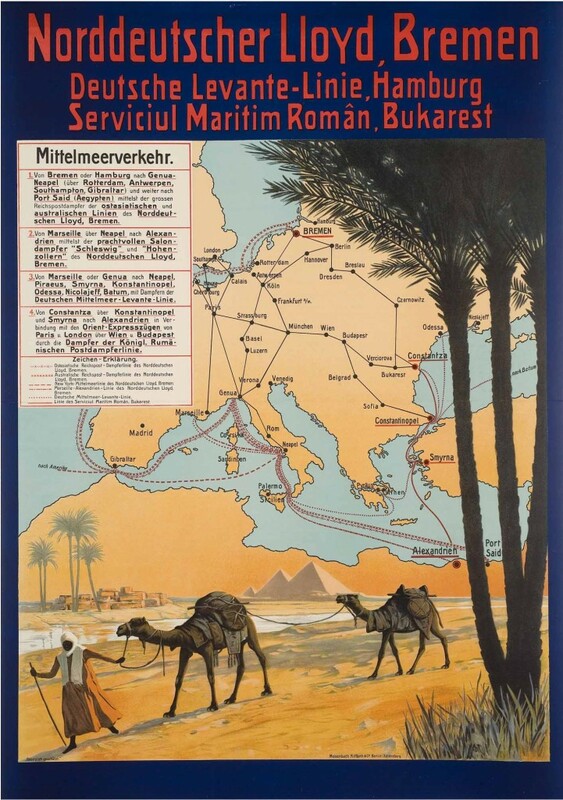 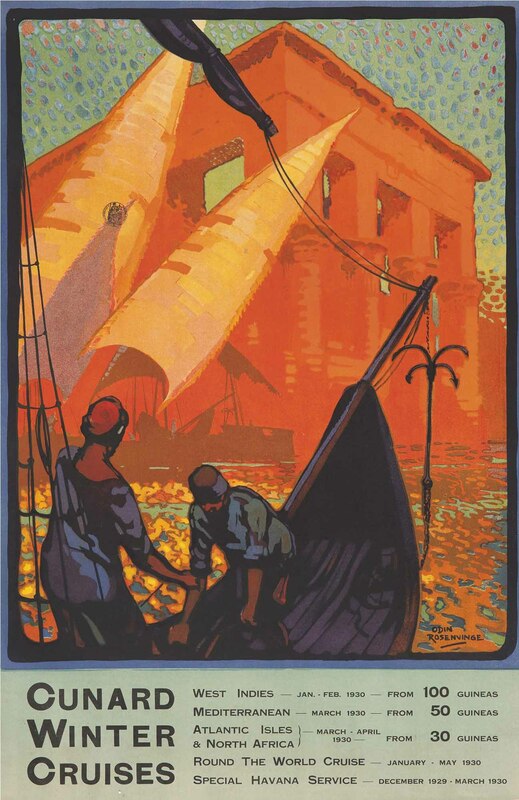 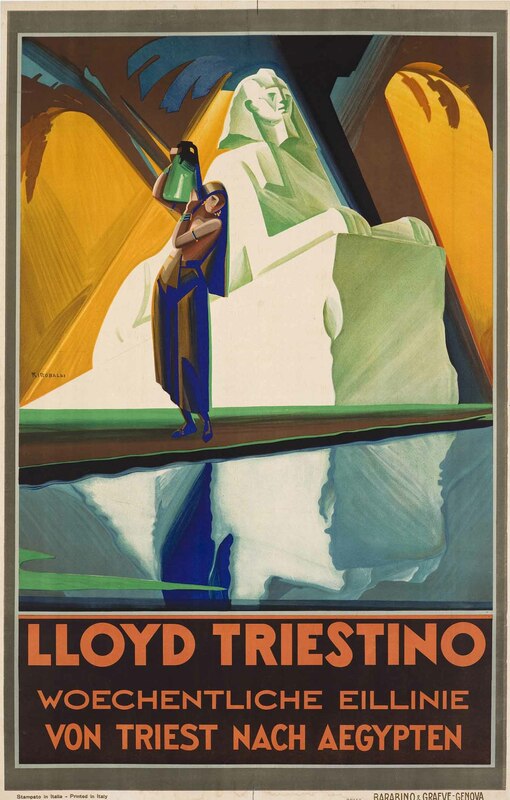 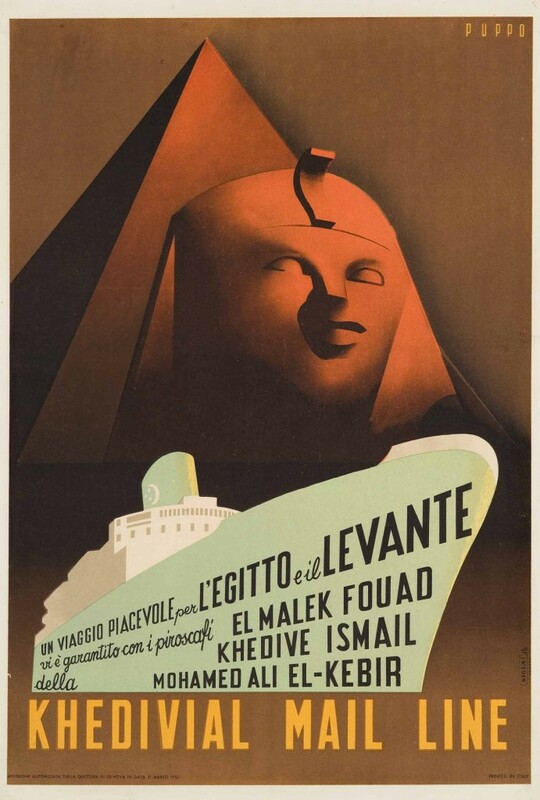 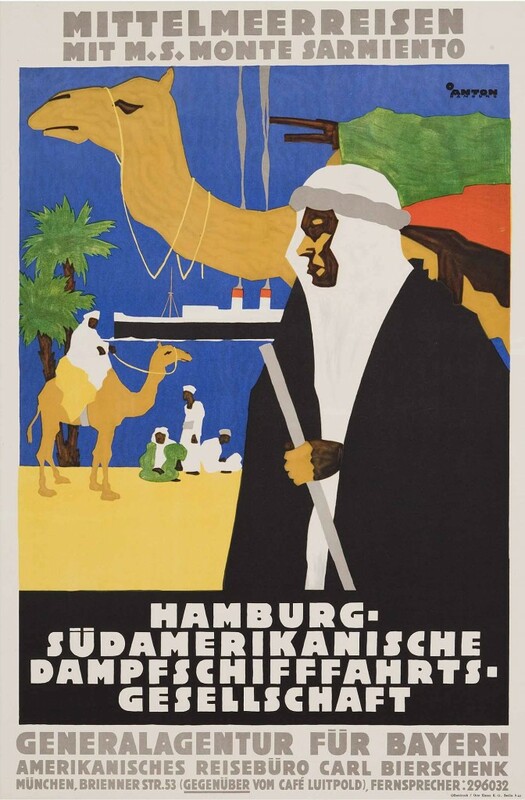 Below are a handful of fantastic posters put out by various shipping lines, mostly dating from the 1920s and ’30s, advertising routes to Egypt, North Africa and beyond. 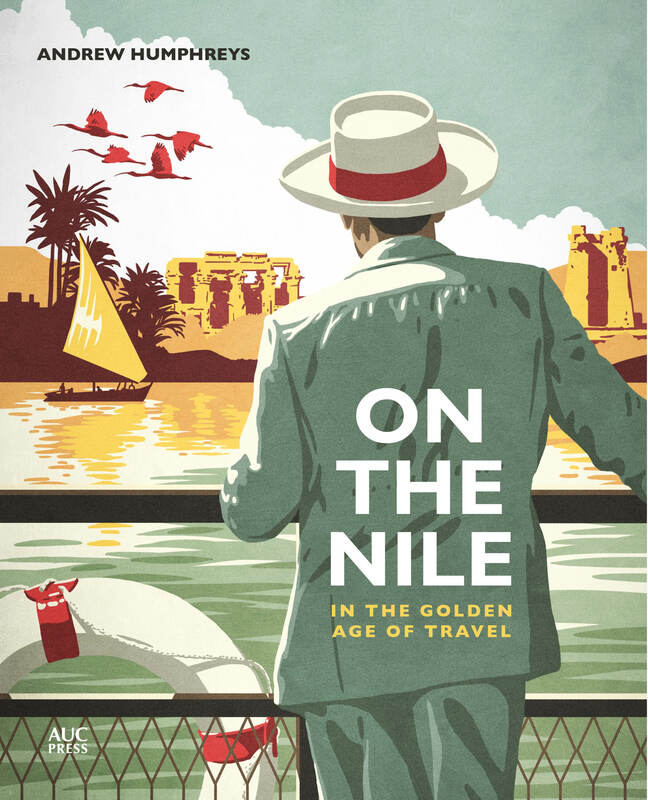 Some of these you’ll find in my book, On the Nile, but I’m pretty sure none of them will feature in the V&A exhibition, though posters and other liner-related graphics will be definitely be included. 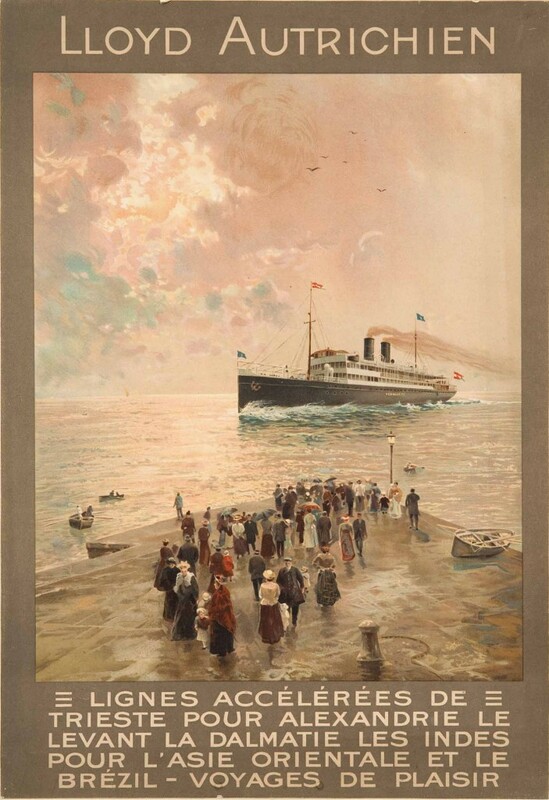 Some of these images come courtesy of Galleria Alassio L’Image.